Well done! You’ve finally decided it’s time to make more efficient use of your time, and hire a virtual assistant (VA) or outsourcer. It’s a big decision but it should be a game-changer as far as how much your business can grow with all the help you’re going to get. Obviously the first step is to decide on WHO will be your outsourcer, but this article is about training him/her once you’ve settled on the right person so we’ll jump to that step. Don’t think you have to sit down and hold their hand while training them. I know you want to tell them everything, but the best way is to create training materials they can refer to over and over. Otherwise, they can hear what you say but until they start doing it, they might not have questions or concerns. If they can go back over the training materials as they go along performing the task for the first few times, they won’t have to bother you with questions that are answered in the materials. Plus they won’t feel stupid. Probably the best way to train an outsourcer or virtual assistant on a task, especially one they’ll be required to perform again and again, is to do a training video. Walk them through it all via video. Show your screen and exactly how to perform the task, step by step. This is powerful for them and ultimately beneficial for you. Another training method is written instructions with screenshots. Sometimes this works better for you as you can be sure you’ve added all the details you want them to know. It’s also easier to update written instructions when there are changes in how you do business than to have to redo an entire video. Third, consider audio training. Some tasks can be fairly simple and a Step 1, Step 2, Step 3 recorded message will suffice. This is especially true if your virtual assistant already has extensive knowledge in your field. Lastly, don’t forget about the training programs that come along with products you’ve acquired. You might buy a product you know will be good for your business but you don’t want to take the time to learn it. Just pass everything on to your virtual assistant, have them learn it and then implement. Whichever method you choose for training your virtual assistant be it video, audio or written instructions, don’t personalize it. That way you can use the same material for another outsourcer. You may lose your virtual assistant for whatever reason, or you may be expanding and need more help so it just makes sense to create the training material once and use it over and over. This are great tips. I agree that the training materials should not be specific to the individual so that they can be reused in the future. That’s an excellent time saver. I also find live chat sessions to be very helpful with outsourcers. Scheduling a time to go over materials and answer questions in real time helps to reinforce the tasks, responsibilities and procedures and with some chat programs the text can be saved for future reference. Chatzy.com, for instance, is a good program and it’s free. Thanks Phyllis, that’s a good idea a training session via Skype to ensure they are doing it right! I believe that team viewer or some screen sharing application would also be useful when they are starting out! Having worked virtually before, I agree with you here. Technology is the best tool to ensure the client/assistant remain on the same page. Sometimes, it is easy to get ‘off track’ of the needs of the client. When working remotely, you can easily use tools like GoToMeeting.com to stay in touch during the assignment. This also helps both sides remember that there are actual people involved here – not just some faceless email sender. Personality can make all the difference for both sides to understand what is needed. As I know from working with virtual assistants, the diamond is in the details when creating training materials. In other words, make sure you outline every itty-bitty point that needs to be covered to do the job right. I once hired a VA to help me find a list of 100 blogs that featured real weddings. The detail I forgot? I needed the blog to have shown a real wedding within the previous 3 months. (Doh!) So I had a bunch of blogs that showed real weddings, but only 40% of them were recent. It’s very easy for you or I to forget all the little details when we’re working on a project because we’re familiar with it. Nowadays if I have to hire someone I map out all the steps and all the related details. I let this list sit overnight, then I come back to it the next day with fresh eyes. Almost every time I do this I notice I’ve forgotten something important. Thanks very much for your comment MoBowen. I guess it can be considered an iterative process right – get something written down as training material, then try and train someone with it. Work out where it went wrong, update training material and then retrain. Repeat until you have desired results! Very good points, MoBowen. I particularly like your suggestion of letting an instructions list sit overnight for review the next day. It’s a good strategy for many projects which require a lot of detail and focus. It’s so easy to overlook something that’s crucial. As you mentioned, outlining steps can be a challenge especially if you’re familiar with something. You most likely take shortcuts that wouldn’t be apparent to another person who doesn’t have the same familiarity. I’ve also found that having someone do just a small sample of the project helps in avoiding this issue. This was helpful to me when I was training writers for a site that had very precise methods for posting content. I found that the writers were also relieved that their work would be double-checked early on. It was mutually beneficial in that way, and saved a lot of time. I am not familiar with virtual assistants, but I was theorizing that these were actually persons who were experts in their field and one would seek them to offset the work burden. I was not au fait with the fact that you actually have to train these persons. Once again steve kudos for a well written and informative blog. 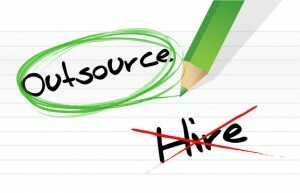 Training is an important aspect when it comes to outsourcing, and also a part which is easily overlooked. The other important aspect is the depth of training. If we are going to try to save time and not get into the details, then we might as well have recurring troubles later. So, the important point is to spend quality time at the beginning and ensure a smooth sailing later. A very valid point well made, thank you Oivas. It is really nice to get involved in a discussion of your website. Great work Steve. Previous post: Is Your Online Business Leaking?